Some shows have a hard time killing off major characters. One series that has proven time and time again that no character is safe is the CW’s The 100, which has been killing off prominent characters from almost the very beginning. The latest to be sent off to that great radiation-soaked city in the sky is none other than Commander Lexa, who was surprisingly okay with being killed by friendly fire from her mentor. According to showrunner Jason Rothenberg, the writers were pretty okay as well with making the big decision to kill Lexa. There’s never a unanimity of opinions in the writers’ room if it’s a good writers’ room. Everybody argues and tries to make the case for what they think is the best story. Then, as showrunner, I end up deciding what happens. In this case, though, there wasn’t a lot of debate about it. Lots of factors went into this, No. 1 being that Alycia Debnam Carey is a series regular on [Fear the Walking Dead]. I had to beg, borrow, and steal to get AMC to allow us to use her for as many episodes as we did, and I know I was going to lose the use of her after Episode 7. It’s a laborious process to use an actor that’s working on another show, so that had a big part to do with our thinking this season. Love her or hate her, Lexa was always a compelling character. Even despite her actions at the end of Season 2 that resulted in Clarke irradiating Mount Weather and killing dozens of people, she was more interesting alive and nuanced than dead. Still, considering his explanation to TVLine, it’s hard to blame Rothenberg and the writers for killing her character. 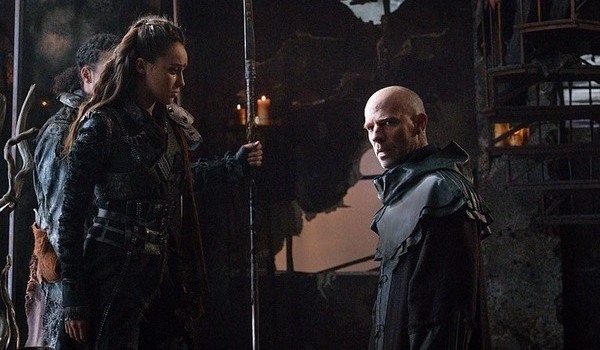 The rules for becoming Commander were made clear in the second season, so even shipping her off into exile wouldn’t have made sense for the Grounder philosophy. Rothenberg had more to say on why death was the only option for losing Lexa in Season 3. When I came up with the idea of a technological reincarnation as a way to explain the Grounder mythology, that the Commander is a reincarnated position, that was something everyone got excited about. You can’t tell a story about reincarnation, technological or otherwise, without that person dying first. Even without Alycia Debnam Carey landing her big role on Fear the Walking Dead, Lexa was going to need to die at some point. Her legacy won’t be forgotten, in-show or out- anytime soon. Lexa made unprecedented overtures toward peace among the thirteen clans, and she made up half of the Clexa relationship that took social media by storm. Besides, as rough as it was to see Lexa die as Clarke wept, Titus pulling the artificial intelligence chip out of her neck was a fantastic way to end an episode. Lexa was always going to need to die for the sake of the story, so kudos to Jason Rothenberg and the writers for giving her a fitting sendoff. The 100 airs on Thursdays at 9 p.m. ET on The CW.